According to findings from the recruiting firm Spencer Stuart, after 42 months the average Chief Marketing Officer (CMO) will be out of a job. The reasons for this vary. A CMO has to juggle many balls in the air and are often blamed when things go badly. In addition, the role of CMO is filled with challenges and requires a flexible mindset and skill sets that were previously the realm of two very different areas: data and creativity. A new study published called the Global Talent Crunch states that the biggest challenge facing businesses is not the rise of robots removing jobs from humans but the fact that by 2030 there will be a skills shortage of more than 85 million people. Organisations are seeking people who are not just experts in their own field but have an understanding of technology, digital and data analytics and the ability to combine this with creative ‘out-of-the-box’ thinking. Ideas and numbers have never been the best of friends. Creatives argue that too much data destroys the lateral thinking process, while analysts argue that data is the foundation of reality and should be the basis for all decisions. Today’s CMO has to walk a fine line between these two adversaries and specialise in both performance marketing involving strategies that are firmly rooted in tangible sales and lead generation data and brand marketing – the realm of big ideas, storytelling and creativity. The challenge for today’s CMOs is choosing between data and creative methodologies and using them appropriately in different marketing strategies. Companies that are more B2B focused tend to favour a data-driven performance marketing approach, while B2C companies often favour a more brand-focused creative approach. 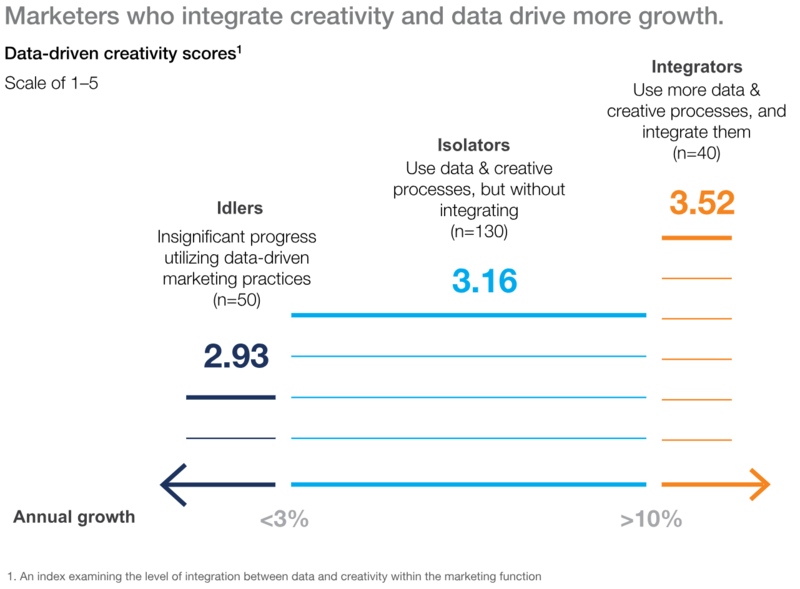 Instead of choosing, McKinsey argues (after surveying more than 200 CMOs and senior marketing executives) that CMOs who are ‘integrators’ uniting both data and creativity grow their revenues at twice the average rate of S&P 500 companies. CMOs that step up to the plate and embrace the new “integrator” mindset no longer view data in isolation but see it as a source of insight from which they can create processes to improve customer experience and drive disruptive growth for their brand. Instead of creating brand and customer loyalty campaigns based purely on creative ideas, they are able to establish and verify customer pain points and interests, and build campaigns based on fact rather than gut feeling alone. There is no disputing that the role of the CMO is a tough one, especially with today’s CEOs firmly focused on market share and return on investment. 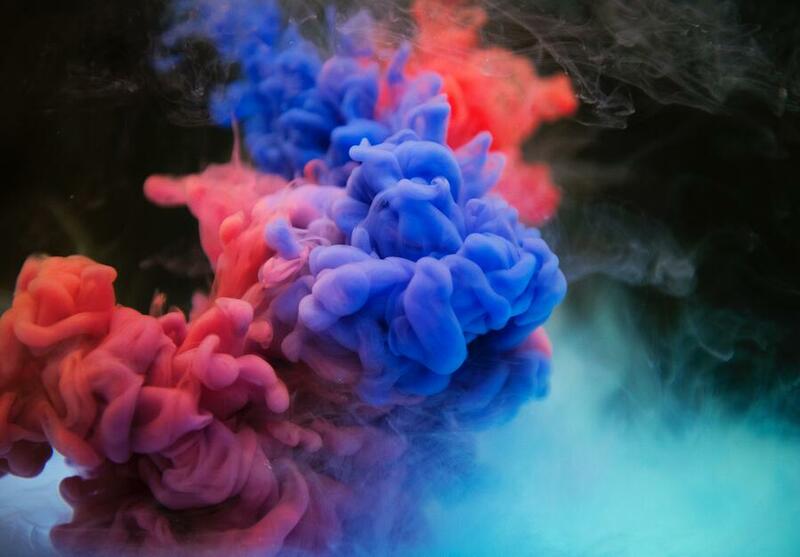 However, if the CMO is able to harness the power of both data and creativity in their organisation – they will be able to demonstrate the profits their leadership teams are looking for. SMARTS: Vlog Series "Analytical vs Creative Marketing: Which Is More Important"
TSM Blog "How CMOs Can Drive Disruptive Growth"